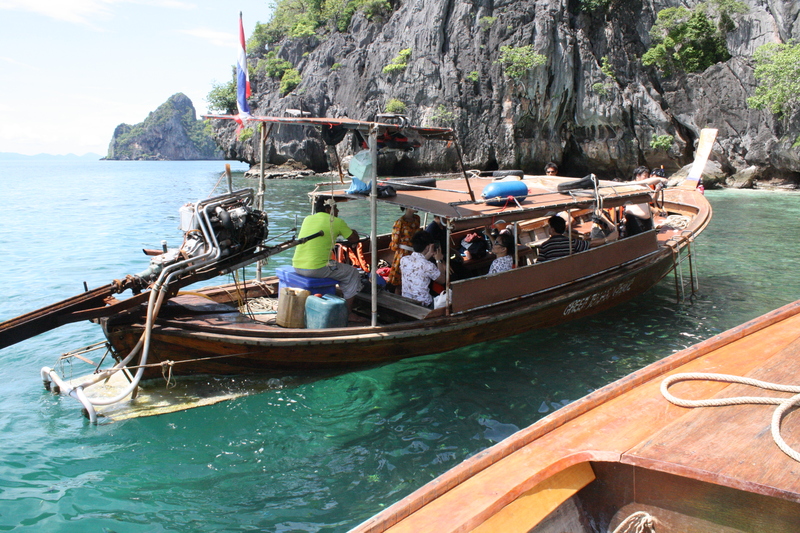 If you ever find yourself on Koh Lanta, you’ll see and hear plenty about a ‘four islands’ tour. You should probably book yourself a spot on one. Trust me. Except for Koh Ngai, which is a large, resorty, sandy type spot, these little islands consist of towering rock formations sprinkled with lashings of tropical greenery. After checking out the marine life – blue fish, striped fish, earthy fish, luminous, almost glowing fish – I was content to just lie back and float, staring up at the formidable rock faces. The absolute highlight? Island number two. As we approached, we noticed that the other boats moored there were devoid of people, which was sort of creepy. What next? Our guides spoke a little English, but on the whole, our communication was halting. We did manage to gather that we should don lifejackets and flippers, and that we’d be swimming through a little cave in the rocks. Awesome. Two of my worst fears combined: small dark spaces and deep water. It took me a few moments of sitting on the edge of the boat breathing deeply to take the plunge. There really are no words to describe paddling through the ‘emerald cave‘. As soon as you enter, you’ll notice it. The water glistens green, almost glowing, in an other-worldly manner. Make your way through, marvelling at the sights, to a thunderous soundtrack of crashing waves and gasps from your fellow swimmers. Swim backwards for a little bit for a different perspective, then flip over before it narrows to just two or three abreast and turns pitch black. Try to follow the pinpoint of light from your guide’s torch. Do this without bumping into the long line of Asian tourists to the left, who seem to be making a collective noise that could either signal excitement or an attempt to spook us all with ghostly cries – all moored to a single rope, making their way out of the blackness as you plunge further in. Eventually the pitch dark eases, and the cave opens out onto a tiny, pristine beach. It’s a picture-perfect scene that could have come straight out of The Beach. It’s fully enclosed with rocky cliffs encircling the majority of the inlet, reaching up almost as far as the eye can see, and inland, forest lurking beyond the shore. According to a sign on the beach, pirates used to hide treasures in the cave. Today, the area is part of a national park, being preserved for future generations. My one piece of advice would be to bring a waterproof camera, or a camera in a waterproof bag – because you’ll want to take pictures, and lots of them. Or if you have a GoPro, this would be a prime time to make use of it. Not that I think anything could truly capture the essence of this untouched spot – but no harm trying. What’s one thing you’ve done lately that’s scared you? You just shared something that seemed like it belonged in an action movie! You and T are having the greatest honeymoon I’ve ever heard of, and I love reading your posts. Those are some wonderful photos. 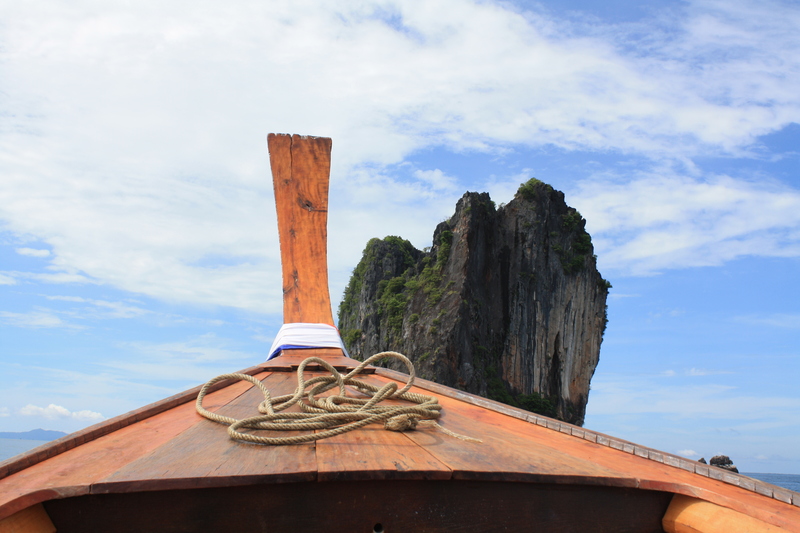 The boats look as picturesque as the islands themselves. Oh my goodness how amazing! That second photo is just particularly fantastic. It sounds like you’re having a phenomenal time! The fish! The fish! 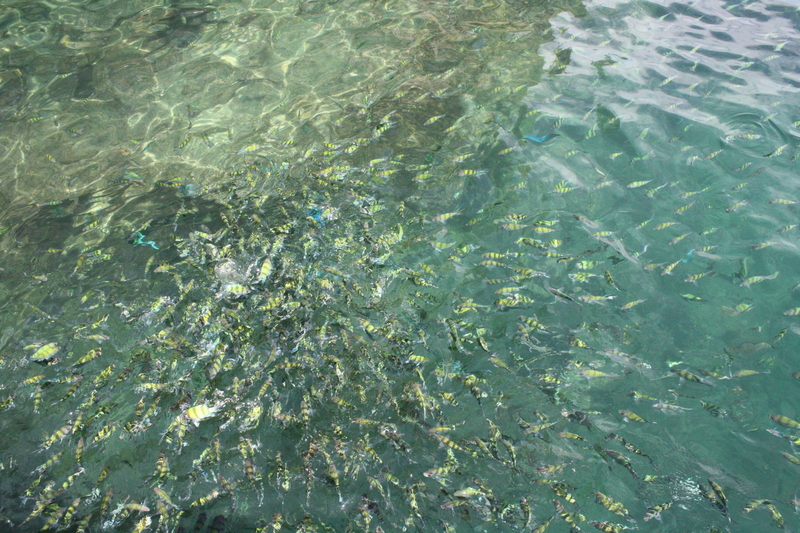 My biggest complaint from when I went snorkeling in Thailand is that there wasn’t enough fish. Mmm, fish. omigosh. that sounds awesome. that sounds like something that has to be seen in person! Nice! 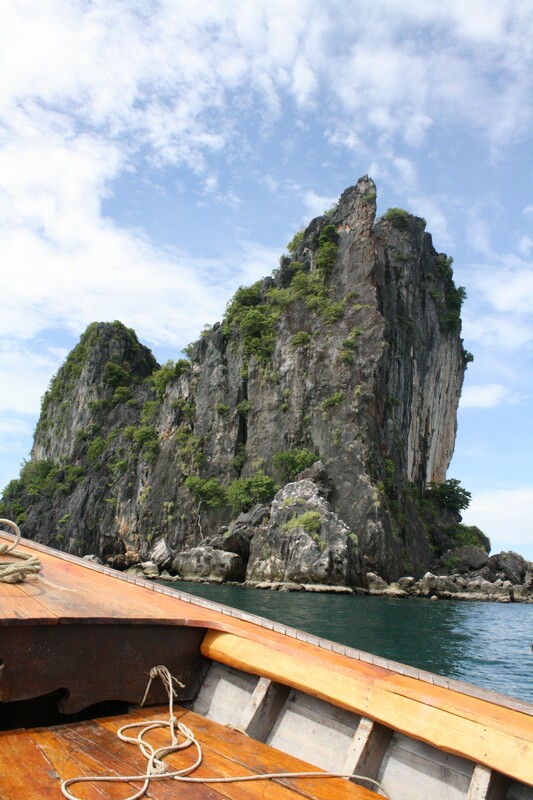 I’ll make sure to visit Koh Mook next time we go visit. Didn’t see it last time. I can’t say that Thailand was ever on my list of places to see, but after reading this post I am reconsidering. Your trip is sounding absolutely fantastic.